Use TBK3FQ to reference this item. "Hi The reason your Geocoin page was locked is because it is a virtual geocoin. The site was not designed for this type of tracking. We do not see virtual TB's as an acceptable use of the tracking features of the site, and we take this kind of setup as an abuse of our features. I am very sorry for any frustration this may have caused you. Cheers, Kerry Groundspeak, Inc. - The Language of Location"
This coin is to travel around to good (not crappy) HIKING caches anywhere in the world. Anyone may log it even if you did not attend the GW3 event as long as you "place" it in a cache you have found at the end of a nice long hike. If you have found a good cache that requires at least a 0.75-mile hike round trip, feel free to "grab" this TB and log it in. I will delete logs placing it into a typical event or TB hotel because there is no hike and they tend to be boring to read. 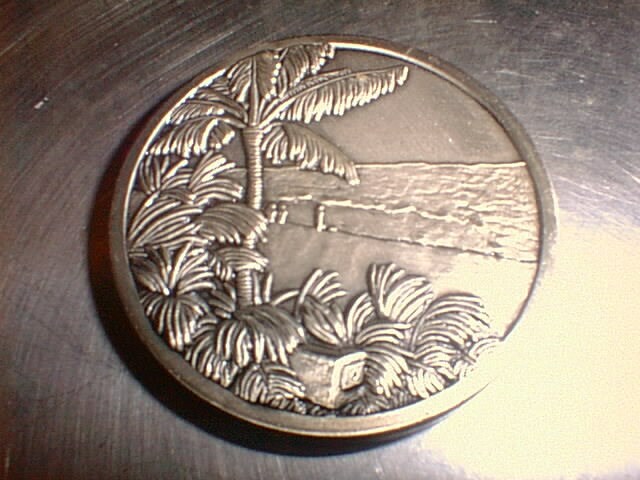 Also only retrieve this coin from other caches not other people so they get a chance to log it into hikes. Logs without drops will be deleted. 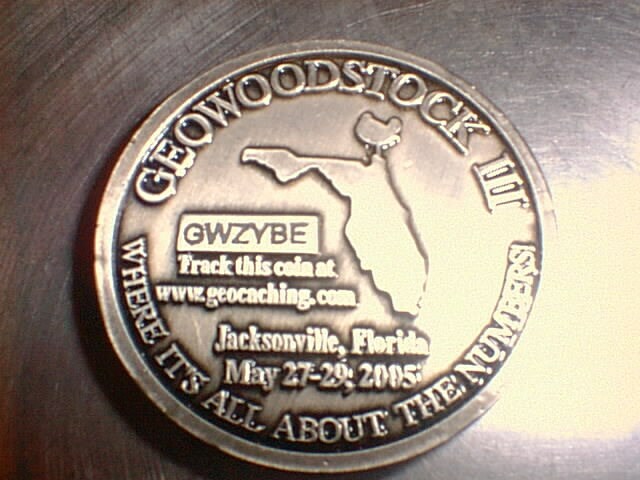 Big thanks to Grey Wolf and Momcat who organized the GW3 run and gave me this coin after the run (May 29th, 2005). Flipsican has moved TBK3FQ to its last known location. Putting it into an archived cache (where a long hike was required to get to the event site). It's a four mile hike to this cache with 22 caches along the way. 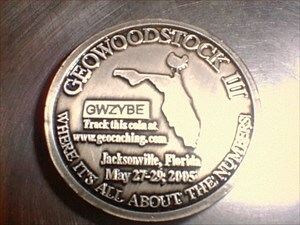 Thanks for the geowoodstock coin log! Great looking coin...it's all about the numbers!